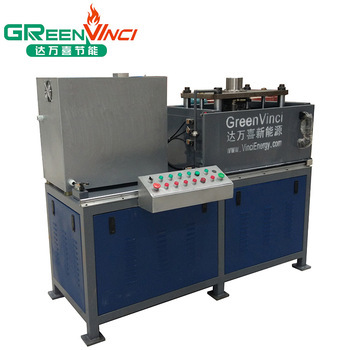 GreenVinci Centrifugal die casting machine uses: centrifugal casting of aluminum and Aluminum Alloy molding machine, is the liquid metal into the mold through the high-speed rotation of the manipulator, the liquid metal centrifugal movement full of casting and casting forming technology and method, the free surface of the metal centrifugal motion can be well formed and full of casting the casting in the radial direction, without hole core can be cylindrical, to exclude the help of gases and inclusions in liquid metal, the influence of metal crystallization process, thereby improving the mechanical properties and physical properties of castings, suitable for ceiling fan rotor cast aluminum production efficiency. 1, the captain 1650* wide 1300* high 1350mm (height of about 850mm). 2, drive energy: electric power, voltage 380V + 10%, frequency 50HZ + + 3% (if the customer does not match the power, can be reported in advance). 3, power: hydraulic system 4kw, centrifugal rotation system 7.5kW, a total of 11.5kw. 4, cooling mode: water cooling, (customer access to the circulating water can be). 5, open and close mode: hydraulic lift (according to the thickness of the rotor plate automatic adjustment). 6, efficiency: 12 seconds /pcs. 7, speed: 1450r/min (according to customer requirements). 8, mould size: diameter of 300mm. This machine is guaranteed for 1 years, no wearing parts (such as seals).